About us Happening soon Photo Galleries How it started What's in it for me? Barrow-in-Furness lies at the southern tip of Cumbria, north of Morecambe Bay and set against the spectacular backdrop of the English Lake District Mountains. Surrounded by beautiful beaches and inspiring scenery, the Furness area also has a strong manufacturing economy incorporating marine and nuclear engineering, electronics, offshore engineering and power generation. 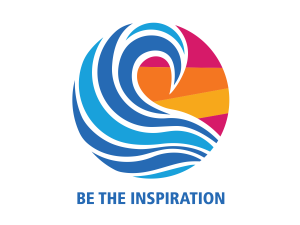 A little while ago we had a little bit of soul searching amongst our members and we decided we wanted to try to make being a part of Rotary more appealing to a wider audience. We want to encourage more people of all ages, male and female to come along and see what its all about. We also want to offer opportunities to anyone interested in delivering Rotary's principles of 'Service to Others' to be able to do so through an approach that is flexible and manageable. Although our club meets every week on a Tuesday lunchtime, we realised this would not suit everyone, which is why Rotary changed its attitude to attendance, making it far more flexible and attractive. We have also started a Friends of Rotary group where people who may not be able to make the meetings can still be part of Rotary by assisting with the events that we organise to benefit people locally and further afield. There’s no pressure – just come along – if it’s not for you no worries. What we can say is that we think you will enjoy yourself like we do, not just doing the ‘charity type things', but also having a good time at our social events, perhaps making new friends along the way. Take a look at the speakers we have lined up and if you fancy coming along to hear one just let us know. Rotary does some fabulous work throughout the world with 1.2 million helpers. If you'd like to do your bit locally we’d love to see you - so please get in touch. We are a group of friends who meet each Tuesday lunchtime at the Lisdoonie Hotel in Barrow. Most weeks we have a guest speaker who might be representing a local charity or presenting some general information about something of interest. We have also been known to convene in local hostelries, have a flutter at the races, or go to the theatre! The reason the club exists is to give service where it's needed, be it at home or abroad, and as you may gather we get a great deal of fun whilst doing it. If you're interested in finding out more just let us have a few details about yourself and we'll be in touch.